"Textile Vessel" heavily influenced by Phoenician forms. Much of Gary’s work has been heavily influenced by ancient glass, both in form and in technique. The ancients treated glass as a plastic gem material, a substance that could be colored, stretched, melted and carved by the maker. 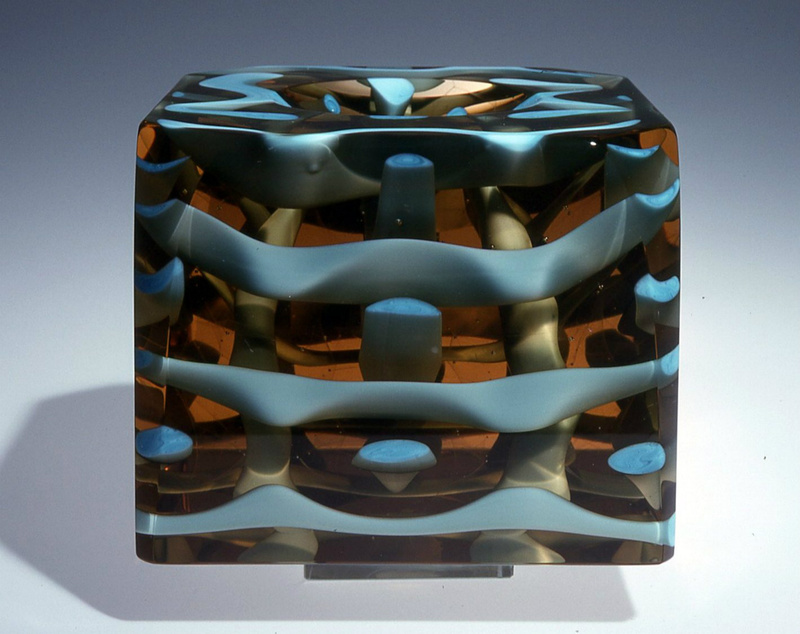 Gary has experimented with countless ways of manipulating glass involving blowing, fusing and cutting. 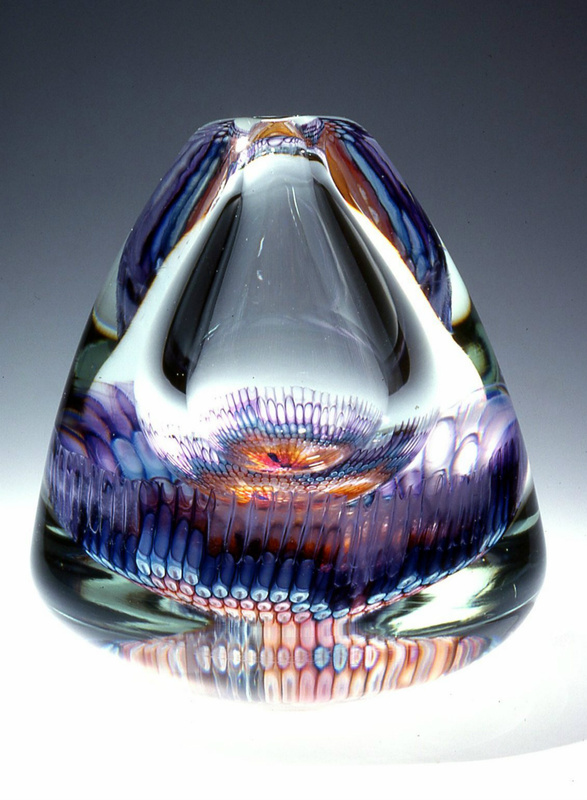 Over his thirty-four year career, he has become well-known for heavy, thick-walled vessels. For the imagery in these pieces, he first makes up a wide palette of colored overlay rods. 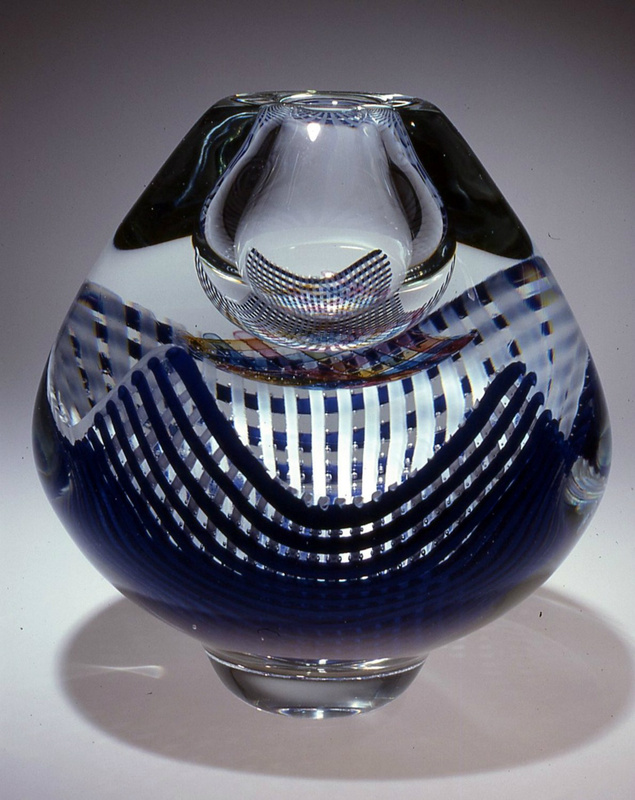 Some pieces contain textile patterns that are then introduced into the crystal glass piece as it is being blown, creating the illusion of glass “fabric” floating in the bowl of the vessel, often with a second or third pattern appearing on one of the vessel’s reflecting surfaces. 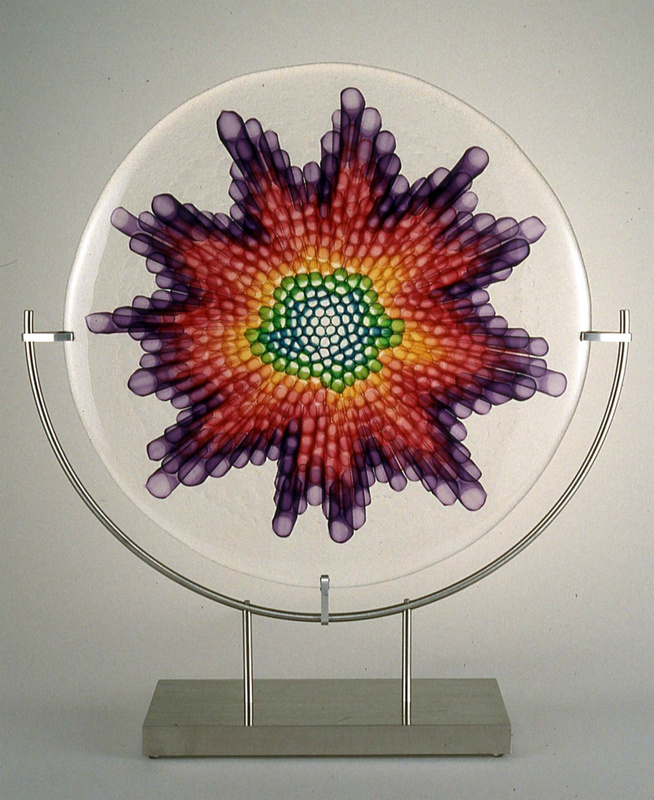 Others, incorporating complex millifiori, are formed into mosaics of brilliant color. The imagery of these pieces has been suggested by influences as divergent as astronomical forms, undersea creatures and figures from a Persian rug. Techniques developed for The Expanding Universe series were later transferred closer to home. Gary then turned his attention to the beautiful surroundings of his native mountains and scenery in exploring his Appalachian Landscape series. He has endeavored to fuse the pointillism of Seurat with the depth, color and dimension possible in glass with a wish to do justice to the majestic terrain of the Western North Carolina area, especially along the Blue Ridge Parkway. 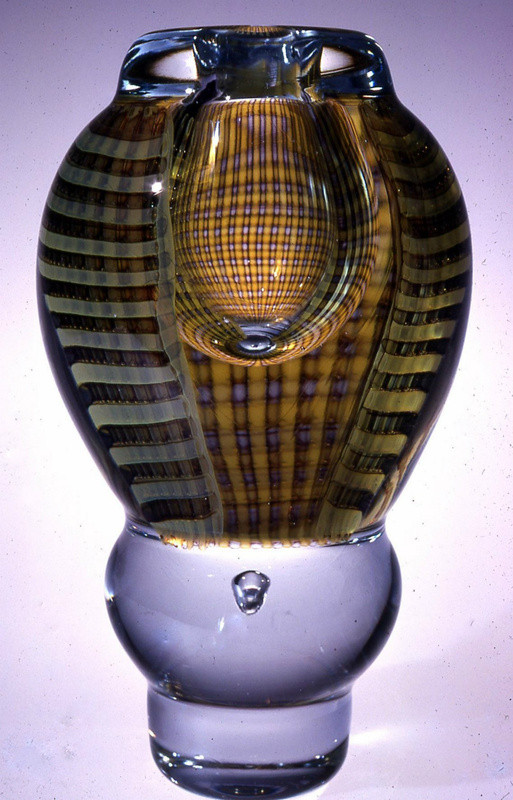 Current directions in Gary's work reach back to his love of Hellenistic glass. In that period of Greek history, glass sculpture and fabrication relied on factories producing billets of clear and colored glass. 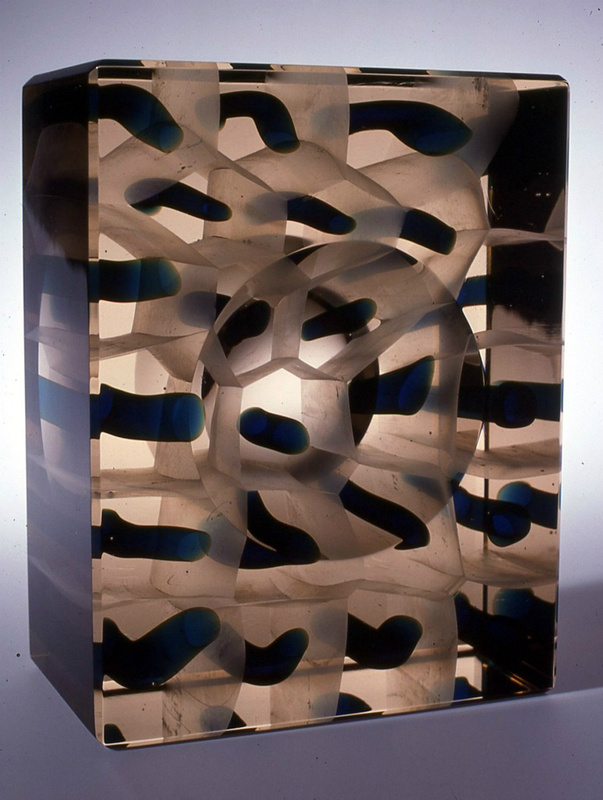 Artists purchased this glass to fuse into molds. The raw molded pieces were then carved into their final forms. The Vitrolith series draws from the shape of ancient fortresses and standing stones using some of these early techniques.